Very soon, in December 11th, New Yorkers will have the chance to watch on the big screen another outstanding Brazilian animation, “The Boy and the World”, directed by Alê Abreu. Winner of over 40 festival awards, the movie is a kaleidoscope of images and music. 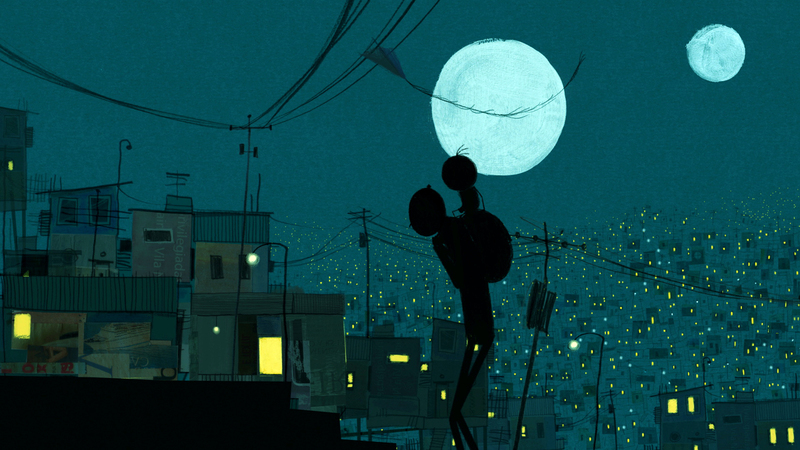 It tells the story of a young boy, Cuca, who lives in a quiet, rural village, but decides do embark on a journey to the big city in search for his father. The film depicts a clash between village and city, hand crafted and mechanized, rich and poor in a production in which the music is on equal footing with the visuals – the story unfolds with the sounds of pan-flute, samba, Brazilian hip-hop and exploding fireworks.